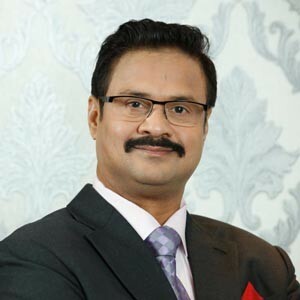 Mumbai, Dhananjay Datar, Chairman & Managing Director of Al Adil Trading was recently ranked on number 18 amongst the richest Indians in the United Arabian Emirates (UAE) in 2018 by Arabian Business. Dr. Datar, a dynamic leader heading the Al Adil Trading group has performed a key role in bringing more than 9000 Indian products to UAE. The group also produces more than 700 products within categories like readymade flours, spices, pickles, jams, Namkeen and instants, under its own brand ‘Peacock’. His group’s Indian arm, Masala King Exports (India) Pvt. Ltd. is successfully operating from Mumbai. Al Adil Group is in active expansion mode and increasing its outlets in other gulf countries. It has established special trade routes in USA, Canada, Kenya, Switzerland, Italy, Eretria, Kuwait, Oman and UAE. For the record Dr. Datar has been consistently rising in the rankings in the rankings as in 2017, he was on the 19thposition and in 2016 he was ranked 39th.